Despite posting 86 prior reviews on amazon.com (mostly books) I apparently no longer meet the “community guidelines” acceptable for posting amazon reviews, so I’ll switch to posting reviews on my blog. I’d previously used my review list on amazon as a way of listing books I’d read, and used that successfully a couple times to avoid borrowing library books that I’d already read (to make that more foolproof I would have had to be more thorough reviewing all the books I’ve read, which I haven’t). I listened to this book in it’s audiobook version using my lifetime Listen-and-think membership, which I obtained as a side effect to donating to the Scott Horton show. 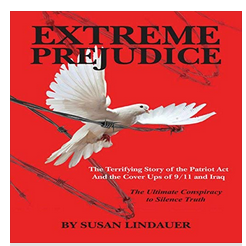 The primary focus of this book is the story of how the US Patriot Act was used to silence an intelligence asset that had information that was inconvenient to the politicians attempting to use 9/11 as a justification for the Iraq war. This was quite interesting, but equally disturbing. It was also interesting to read the chronicle of how psychiatry and drugs are used as weapons by the US “justice” department to attempt to chemically lobotomize the author (unsuccessfully), and how drugs were used against many of the other inmates she met (successfully). This book requires severe editing and has excessive redundancy. I think that the audio version minimized the horror of some of that redundancy since one doesn’t necessarily expect speech to be as refined and concise as a good book. There were a number of times, after listening to the same material for perhaps the fifth time, I wondered if the book would ever end. It took a long time to get through, even at 2x playback speed.